Throwing a party can be a bit stressful. You choose a theme, compile a guest list, and what on Earth are you going to wear? You can also increase your stress by fretting over what types of food and beverages you will serve, or whether to host your event at home or book a venue. It almost makes you not want to plan a party at all! Wouldn't it be great to have one less thing to worry over? That wish can come true for anyone hosting private events in Brandon, FL. O'Brien's Irish Pub & Grill, one of the best bars in Brandon, offers catering for any kind of event. They offer an array of delicious dishes that will surely be met with approval by all your guests. With that thought in mind, let's get this party started! Whether you are planning a small get together or a large, group event, O'Brien's Irish Pub & Grill has got you covered. They can easily prepare food for over 100 people and their delivery option ensures your food will arrive at your event fresh and on time. You also have the option to pick up your order at your convenience, whichever is easier for you. The hardest part of having O'Brien's Irish Pub & Grill cater your event will be deciding which delicious items to choose, and even then they have a few package ideas you can choose from or you can customize your own package! There is a wide variety of options to suit every palate, including salads, wraps and sandwiches, hot entrees, and delicious appetizers fit for any occasion. From seasonal veggie or fruit trays, wings, and chips and dip to specialty subs, sandwiches, and wraps; even lasagna or Shepherd's Pie with sides! They offer many different packages with any mix and match options you choose. You can even host your party or event at this venue in one of their private rooms or spaces. 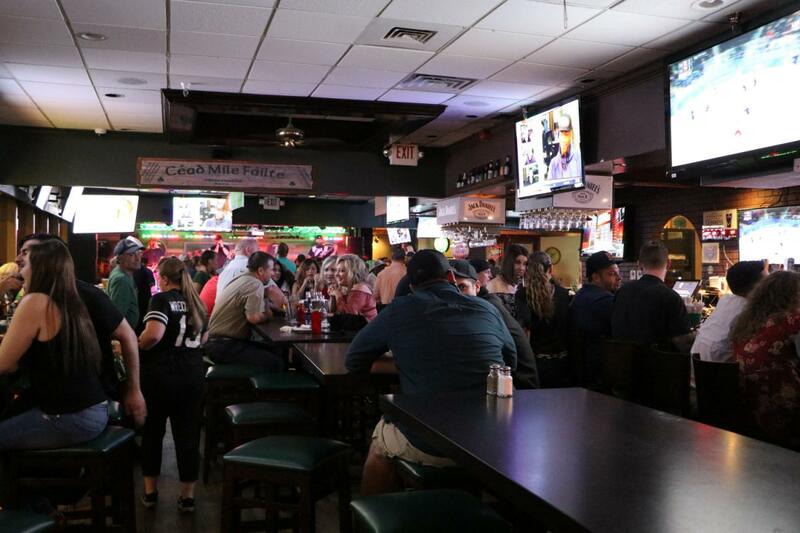 No matter the occasion, be it a birthday or anniversary celebration, pre or post-wedding festivities, a sporting event gathering, literally any event will be enhanced by O'Brien's Irish Pub & Grill's ambiance. They also have large screen TVs and live music on hand to provide entertainment for all. When you host your event here, you won't have to worry about running out of your favorite beverages, they will keep them coming. What better way to celebrate than with good friends, great music, and amazing food! For any of your future private events in Brandon, be sure to visit one of the best bars in Brandon, O'Brien's Irish Pub & Grill. This Veteran owned establishment also hosts many great events that you can take part in, just check out their event calendar to plan your next visit! They also work closely with their community with many Veteran activities and charity events. Any event, any time of year, O'Brien's Irish Pub & Grill will make your party shine! Register on 813area, your free guide to everything in Tampa! We'll make sure you're up-to-date on all the fun things to do in Tampa.